On entering Pittentrail, from the direction of the A9, turn right after the Pittentrail Inn. 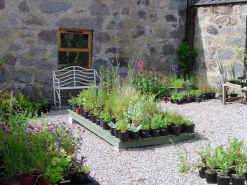 The entrance to Corry Croft Nursery is 300 metres, at the second gateway, on the left. 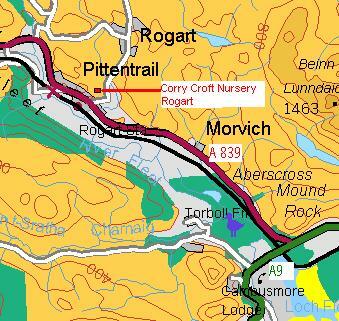 If approaching from the direction of Lairg, turn left opposite the War Memorial. The entrance to the Nursery is as above.